Thursday 17th May saw the annual Wilkies 5 Mile Classic Road Race, hosted by Foyle Valley AC in honour of Colm Wilkinson. Running in perfect weather conditions Mark McKinstry (North Belfast Harriers) dominated the race from the start and claimed a well deserved victory in a brilliant time of 24.54. Gary Slevin (Foyle Valley AC) was second in 25.58 and club mate Joe Kennedy (Foyle Valley AC) third in 26.43. In the ladies race Ciara Toner (Springwell) continued her excellent form, running a personal best of 29.07 to retain her title from last year. Grainne Neill (Foyle Valley AC) claimed second place in 31.10 and the final podium place went to Martina McMullan (Foyle Valley AC) in 31.28. Catherine Pinkerton (Springwell RC) ran a personal best of 35.24 to win the F40 age category. 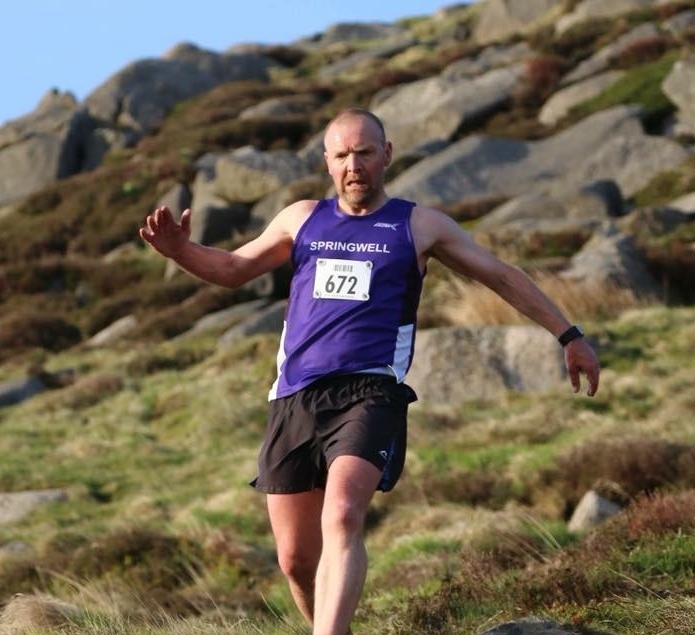 Race 5 of Newcastle AC’s Hill and Dale series took place on Thursday 17th May, in perfect conditions in the Mourne Mountains. Starting at Leitrim Lodge above Rostrevor, Rocky would take them into one of the most picturesque parts of the Mournes. Starting at 7.30pm the 259 runners took on the imposing climbs of Altnatagart and Tournamock, crossing to Pierce’s Castle and onto the final climb up Rocky before taking on the fast, technical descent off Rocky to the finish. Seamus Lynch (Newcastle AC) and William McKee (Mourne Runners) set the early pace and quickly established a lead from the pursuing pack. Seamus proved the stronger over the climbs and finished a worthy winner in 30.22. William finished in second with 31.09 before Colm Murtagh (Newcastle AC) completed the podium in 32.32 for third place. The ladies race was won by Mari Troeng (Newcastle AC) who ran an excellent time of 39.23 with Karen Wilton (Jog Lisburn) second in 39.39 and Gillian Wasson (Ballymena Runners) third with a time of 40.35. 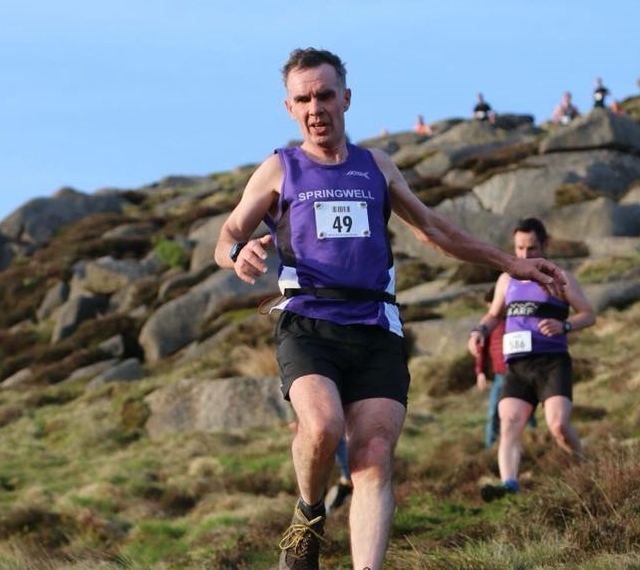 Springwell RC’s Alex Brennan produced an excellent run for another age category win, finishing 9th overall in a time of 35.04 to win the M40 category. 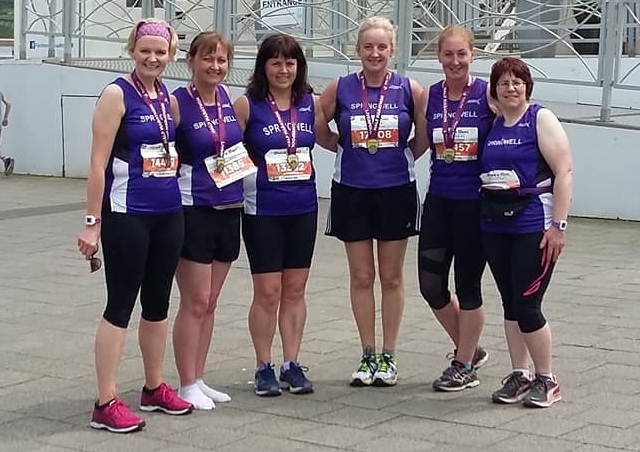 Springwell RC was well represented in Liverpool on 20th May for the Rock ‘n’ Roll Marathon and Half Marathon. Now firmly established on the running calendar, this popular event takes runners on a scenic tour of the city. Starting at the Albert Dock on Liverpool’s waterfront, the marathon heads towards the Cavern Club and down Penny Lane, before heading to the north of the city where the course takes them around Goodison Park and through Stanley Park and the majestic Palm House. To keep the football balance, the course then passes Anfield stadium and returns to the city with spectacular views of the Liverpool skyline and River Mersey. Runners then pass the Liver Buildings and run through Chinatown and the Chinese Arch, Princes Park, Sefton Park and Otterspool Park before culminating in a finish on the waterfront promenade alongside the ECHO Arena. Sunday’s race took place in very hot conditions which proved challenging for all competitors but great for the huge crowds of spectators.